The registrations for the ‘Sustainable Cities and Circular Economy’ trade mission to Panama are now open! Water is high in the policy agenda in Panama and the country will focus in the coming years on sustainable cities and a circular economy, in which water plays a crucial role. The Dutch Embassy seizes the opportunity to organize a trade mission in Panama for Dutch companies working in the water and/or waste sector. Several studies have recently been carried out by Dutch experts in the prevention of flooding (DRR-missions). An example of this is a project called “The Water Dialogues” which were carried out in collaboration with the Municipality of Panama. This project has initiated follow-up op portunities, such as a possible project around the Tocumen Airport and a project from the Inter-American Development Bank (IDB) in Juan Diaz, worth USD 80 million. Finally, the coastal area of the Bay of Panama is being studied and developed. This year, projects worth tens of millions of dollars are being launched to prevent flooding in the immediate vicinity of Panama City. An additional study – Challenges and opportunities for the water sector in Panama – conducted as preparation for the mission will also give you further insights on opportunities in the country for your company. 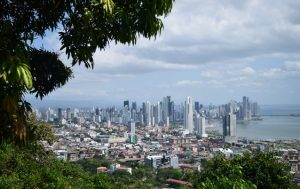 The mission will take place from October 8 to October 11 in Panama, with an interesting program for companies working on water and/or waste management in the context of sustainable cities (climate adaptation, water tech, (waste) water treatment, flood risk management, waste (water) treatment…). a participation to a one-day Symposium around circular economy (an excellent opportunity to network on the Holland Pavilion and to give a pitch on your company). Using this link you will find further information and a concept program. The program will be further adapted to the participants and therefore we ask a registration for the first week of September. Feel free to contact us for further information. You can register by sending an email to pan-ea@minbuza.nl. After the registration you will receive a registration form with amongst others, hotel information and you will be invited for an online intake interview. For more information on the trade mission please contact Natasha Risseeuw, Economic Officer at the Embassy of Panama, at +507 280 6664.